We use, collect and retain customer information for a variety of purposes that we reasonably believe will assist us in administering our business and providing our customers with assorted products and services. Some of the information we collect about you is nonpublic personal information. We receive this information from you when you fill out forms, including electronic applications and forms, from your transactions with us, to satisfy any legal reporting requirements, to assist us in improving our products and services and to understand your needs so we may continue providing you with excellent service. You can learn how to opt out of receiving targeted advertising by visiting http://www.aboutads.info. 101 eCommerce Tips has established procedures to ensure that your information is accurate, current and complete, in accordance with commercial standards. We will also respond to your requests to correct inaccurate information in a timely manner. We have policies and procedures that will limit employee access to your personal information. We specifically emphasize the importance of maintaining our customers’ information confidential and we educate our employees so that they understand the importance of customer privacy and confidentiality. 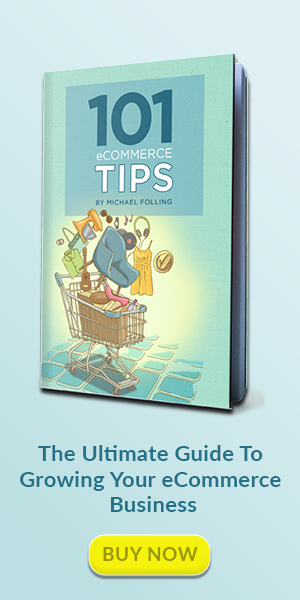 101 eCommerce Tips maintains security standards and procedures that help to prevent unauthorized access to customer information that exceeds common industry practices. Personal information sent through our website is protected through Secure Socket Layer (SSL) encryption. We update and test our security technology to improve the protection we provide our customers and to insure the integrity of our information. 101 eCommerce Tips will not reveal nonpublic personal information about you or your accounts to third parties for their independent use unless (1) you have specifically requested or authorized it or; (2) the information is required to complete a transaction which you have initiated or; (3) the information is provided to a reputable credit bureau or a similar reputable agency or firm or; (4) such disclosure is otherwise lawfully required or permitted. We do not share nonpublic customer information or nonpublic previous customer information with third party marketers offering their products and services. Although we may offer products and services from third party marketers, we will control the customer information used to make such offers. We will not disclose any nonpublic customer information or nonpublic previous customer information with anyone with the exception of the above provisions in this paragraph and paragraph 8 below. There are times when it may be necessary for us to provide your personal information to a party outside of 101 eCommerce Tips with which we conduct business. An example of such a third party is an email service provider that we use to correspond with you via email. We may disclose the following information to these third parties: 1) information we receive from you on applications or other forms, such as your name, and address and 2) information about your transactions with us, or affiliates, such as information about where you are staying during your vacation. These third parties have agreed to safeguard any confidential information about you that they receive from us and they must abide by all applicable laws.